In 2107 3.6 million passengers travelled via the airport of the Greater Region. Luxembourg Airport looks back to yet another successful year. In 2107 3.6 million passengers traveled via the airport of the Greater Region. Also, it was the first time ever the airport saw monthly traffic numbers above 300.000 passengers during several months. The new absolute record month was July 2017, which counted 362.243 passengers. 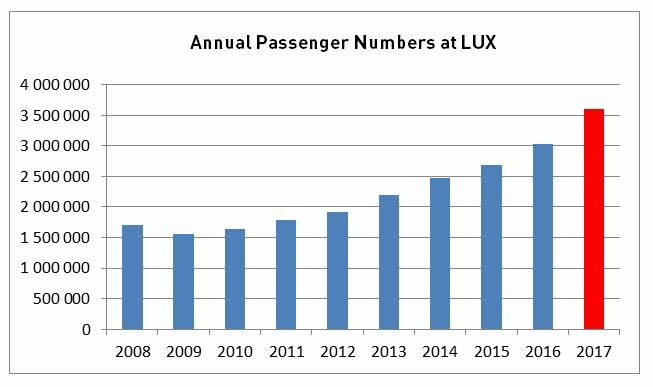 Nearly every airline flying at Luxembourg airport realized a growth in passenger numbers. Nevertheless, the largest growth came from two airlines: Ryanair, which added 330.000 passengers followed by the home-based carrier Luxair which added 115.000 passengers. 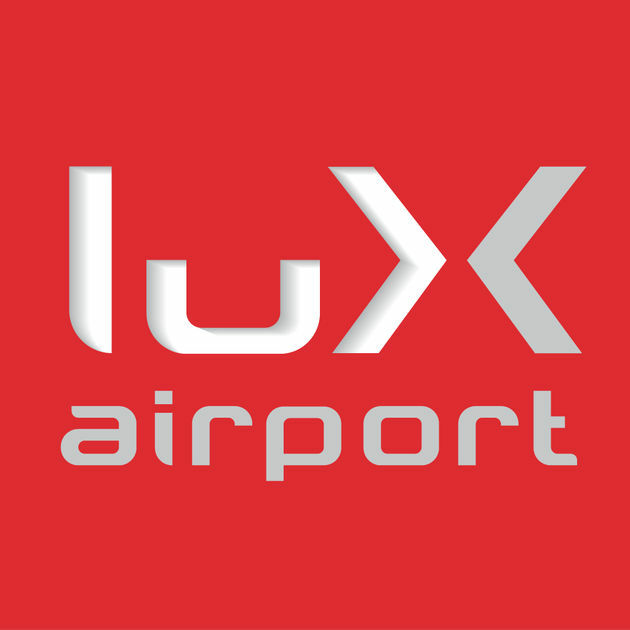 Luxair remains by far the largest airline in 2017 with 1.84 million passengers. Ryanair follows in second place in its first full year of operation with 364.000 passengers. Lufthansa, now flying 9 frequencies in total to Munich and Frankfurt is in third place with 292.000 passengers. On places four and five are easyJet with 263.000 and KLM with 167.000 passengers. It is important to note that the number of commercial movements (landings and take-offs) has increased far less by 8.8%. This is mainly thanks to the use of larger aircraft. 2017 was also a year of changes in the fleets of airlines operating in Luxembourg. Swiss said goodbye to the Avro jets and replaced them by the next generation of very quiet Bombardier C Series aircraft. KLM operated one of its last ever Fokker flights to Luxembourg which are now replaced by modern and quieter Embraer Jets. In 2017 new routes to Alicante, Bari, Berlin-Schönefeld, Biarritz, Hurghada, Milan-Bergamo and Milan-Linate have been started, while two routes (Lyon, Birmingham) have been discontinued. The top-destinations by passengers have not changed compared to 2016: On first place is Porto, followed by Lisbon, Munich, Frankfurt and London-City. However, if all 4 London airports (Heathrow, Gatwick, Stansted and City) are added together then London remains the largest destination.